Some birthdays are celebrated with cake, parties, and too much champagne, while others slip by unnoticed. When the Toyota Avalon turned 20 years old earlier this year, there was no champagne or cake (what?! ), but the Japanese automaker did find an alternative way to celebrate this milestone: with the introduction of the 2015 Toyota Avalon Sport Edition. The limited-edition model is based on the flagship’s XLE Touring trim, which already comes packed with features like a power sunroof, paddle shifters, and blind spot monitor. To create the 2015 Toyota Avalon Sport Edition, the carmaker added HID quadrabeam headlights and LED daytime running lights; 18-inch multi-spoke alloy wheels; a sophisticated black paint job; an interior oozing with comfortable leather; and unique Avalon Touring Sport Edition badges, logo floor mats, and splash screen logo. Toyota began building the Avalon Sport Edition in October, and production will continue through March of 2015. During this time, only 2,500 units will be built, making it a true limited edition vehicle. If you want to be one of the few to own this one-of-a-kind Avalon, it’ll set you back a cool $37,170. 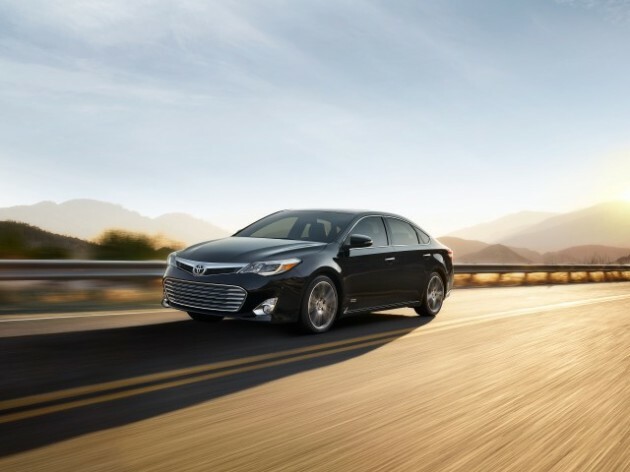 Can you see yourself cruising the streets in the 2015 Avalon Sport Edition? I certainly can.